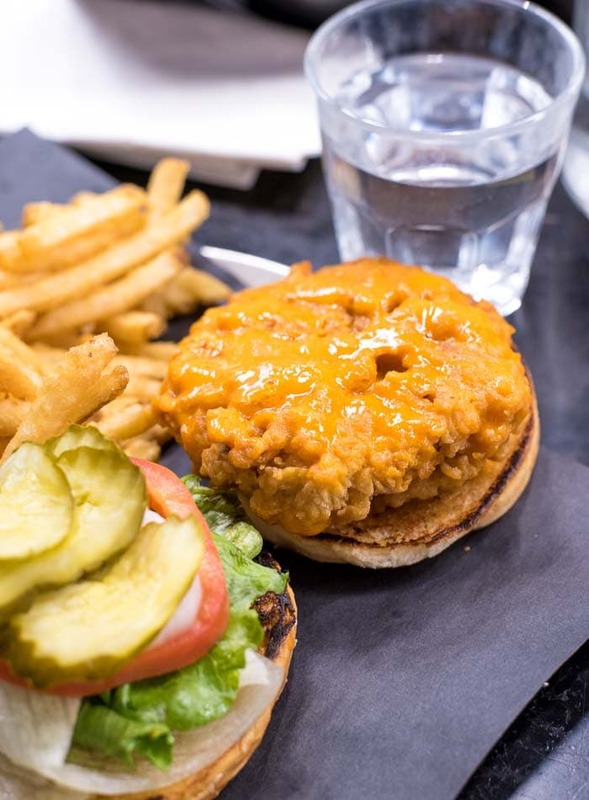 This list of the best vegan restaurants in Toronto features all the best vegan and vegetarian food you can find in the city. 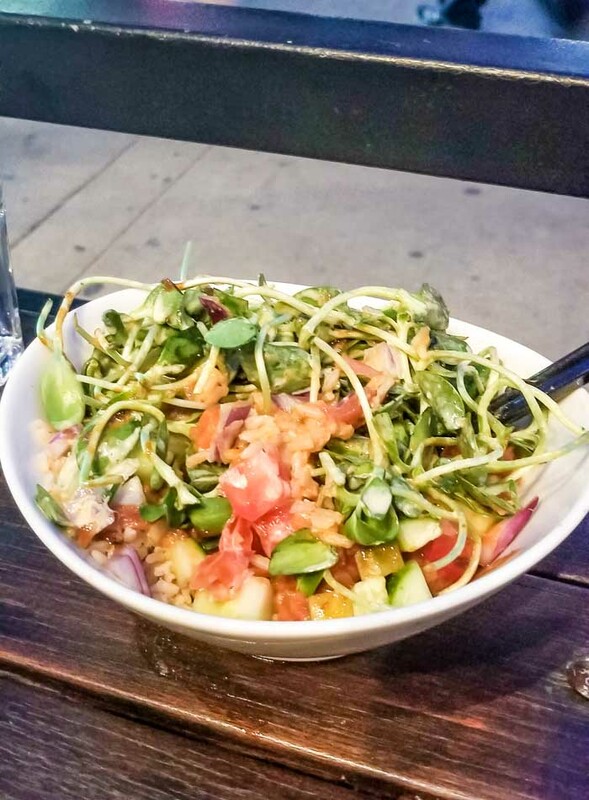 Whether it’s an upscale dinner at Planta, vegan comfort food at Doomie’s or a healthy, raw food lunch at Rawlicious, the Toronto vegan food scene does not disappoint. 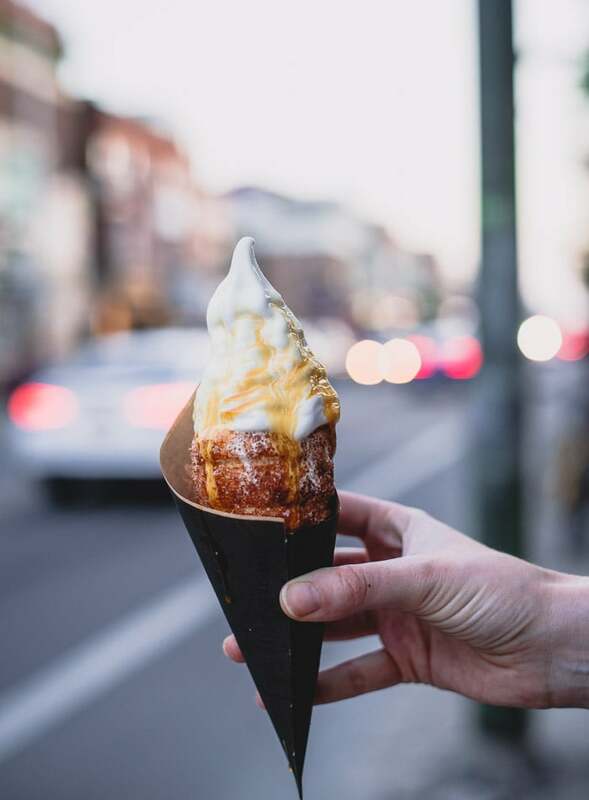 This vegan guide to Toronto also features some fun things to do in the city, the best coffee shops, how to get around and where to workout. 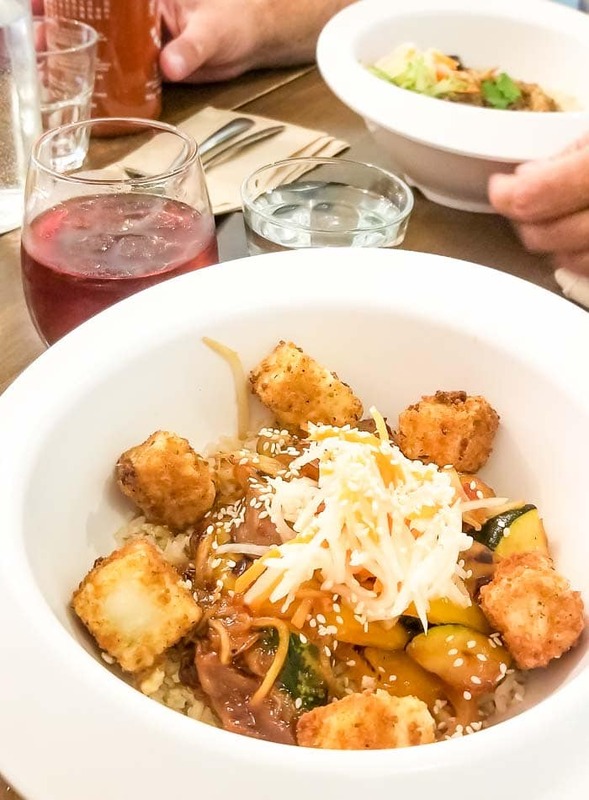 Before we get into the full list of the best vegan restaurants in Toronto, I’ll share this quick categorized list of vegan options based on what you’re looking. 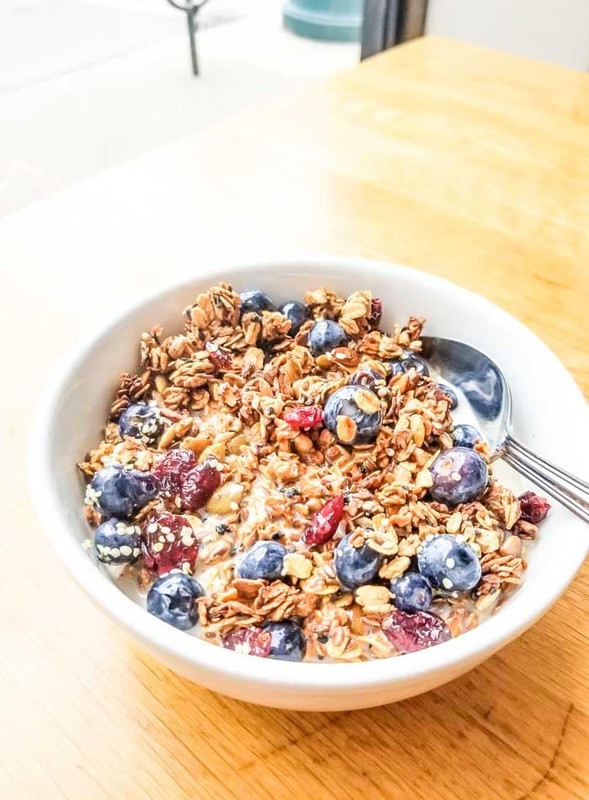 I’m most often after a quick and healthy lunch or dinner, so I’ve listed that below along with the best spots for vegan breakfasts, smoothies, desserts, upscale dining and comfort food. Happy eating! The restaurants below are all completely plant-based. I was amazed how many fully vegan restaurants Toronto has to offer. If I’d had more time I would have expanded this list to the best options for vegan food regardless of whether the restaurant was plant-based or not, but at least you’ll know if you visit any of these vegan hot spots, you can go ahead and order anything off the menu. Kupfert and Kim was my go-to for quick, healthy breakfasts since they open at 7:30 am. I had their house-made granola, the breakfast congee, tried a couple different smoothies and some of their vegan baking. Everything was good and reasonably priced. 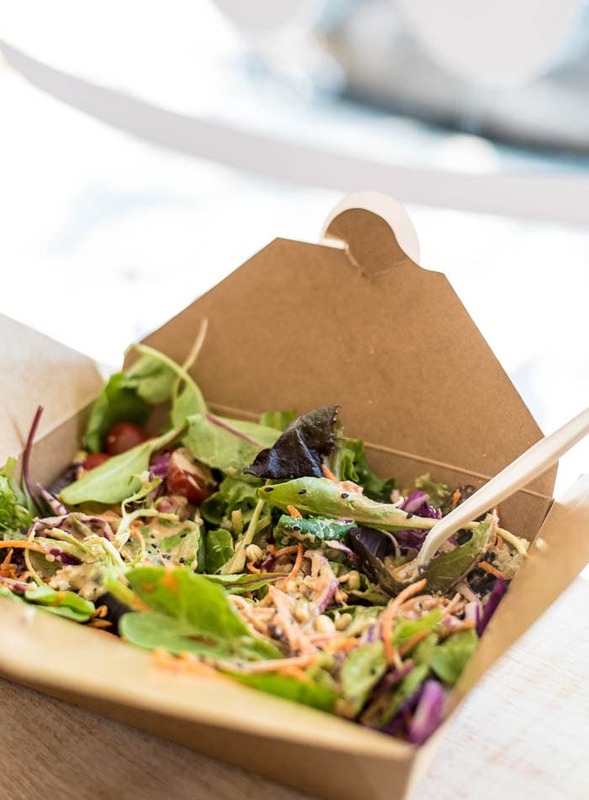 The menu also features smoothie bowls, gluten-free waffles, burgers, salads bowls, coffee and more. They have 6 locations around Toronto. Fresh was my favourite spot for vegan food in Toronto. They’ve got the plant-based thing down pat and I loved their extensive menu that covers everything from buddha bowls to salads, to wraps and burgers. You can order something healthy or not-so-healthy so it’s appealing to everyone. The one on Queen St. West has a great patio, the one on Spadina has small outdoor seating area and cozy interior and the one on Bloor has indoor seating only. 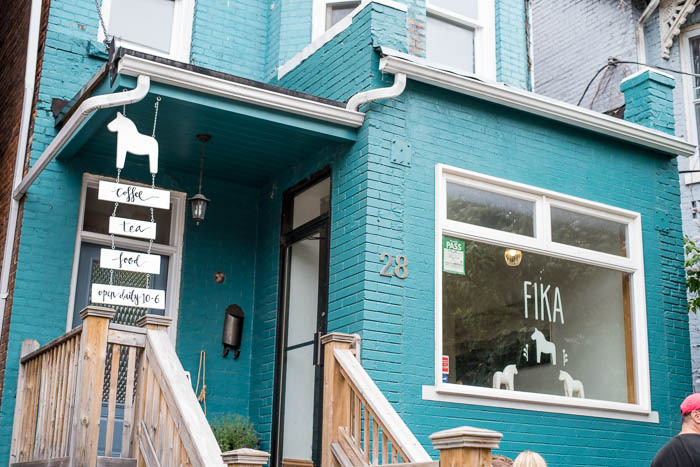 Hit up Fresh for a quick, casual meal or a full-on vegan comfort food feast. I loved that their bowls come in two sizes and can be ordered wth brown rice or soba noodles. They also have lots of fun elixirs, tonics and matcha drinks on the menu. Grasshopper has two locations, one on College near Spadina and one on Dundas West. The menu features appetizers such as fries and chick-un nuggets, burgers such as the pulled pork or spicy lentil burger, bowls such as mac and cheese, miso veggie and tofu scramble as well as cocktails, juices, smoothies and teas. I went to the one on College, it’s quite small with limited seating but the food was good and would eat there again. I had the veggie miso bowl and one of their kombucha specials. Hello, vegan pizza by the slice!! 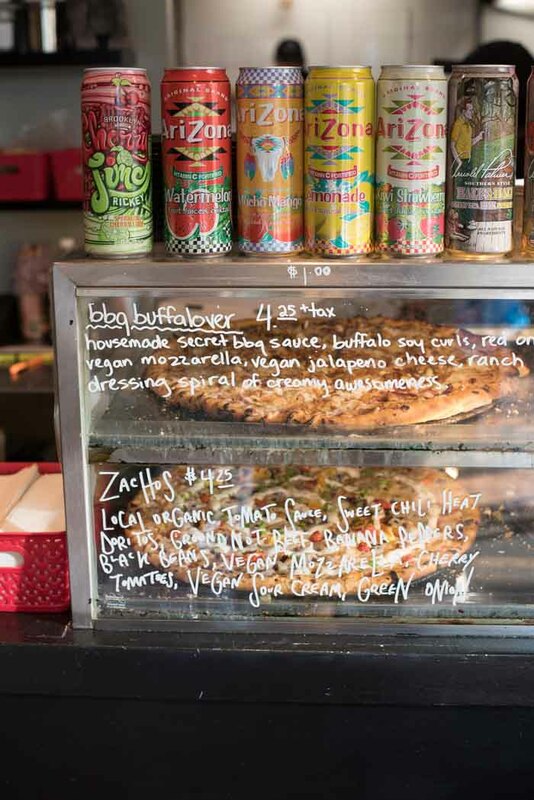 It’s not often that you can find vegan pizza by the slice served up along side all your vegan junk food needs. 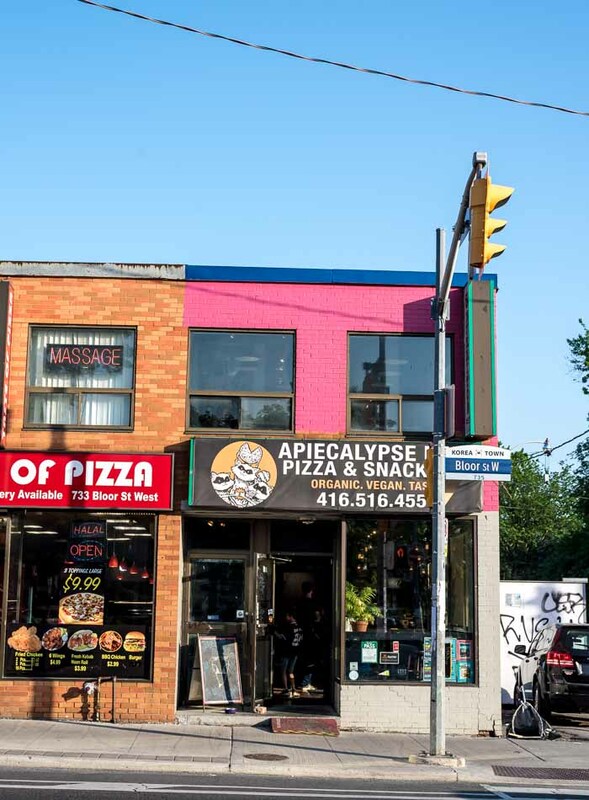 This hole-in-the-wall pizza shop kitty corner to Christine Pits features vegan donuts, pizza, soft serve, fries, hot dogs, wings, poutine and mozarella sticks. There’s a couple of seats inside but I’d recommend taking your food to-to and grabbing a spot in the park across the street. 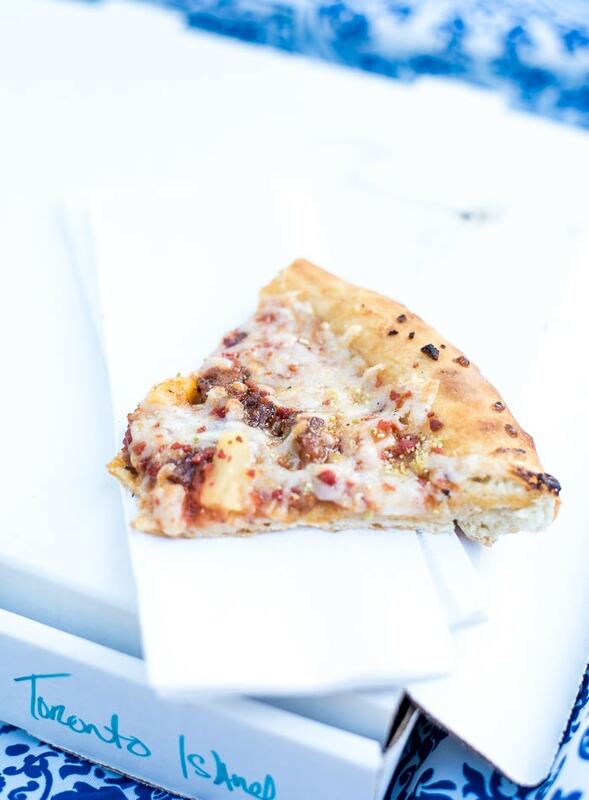 Their feature pizzas include the Pig Destroyer Destroyer, Zachos, Pepperphony, Slayer and Reunion Tour. They do have a couple salads on the menu if you’re not feeling Jalapeno Poppers, Tofu Nuggets and Yeezy Bread. For the day after your vegan pizza feast at Apiecalypse Now, it’s Live Organic Food Bar to the rescue. 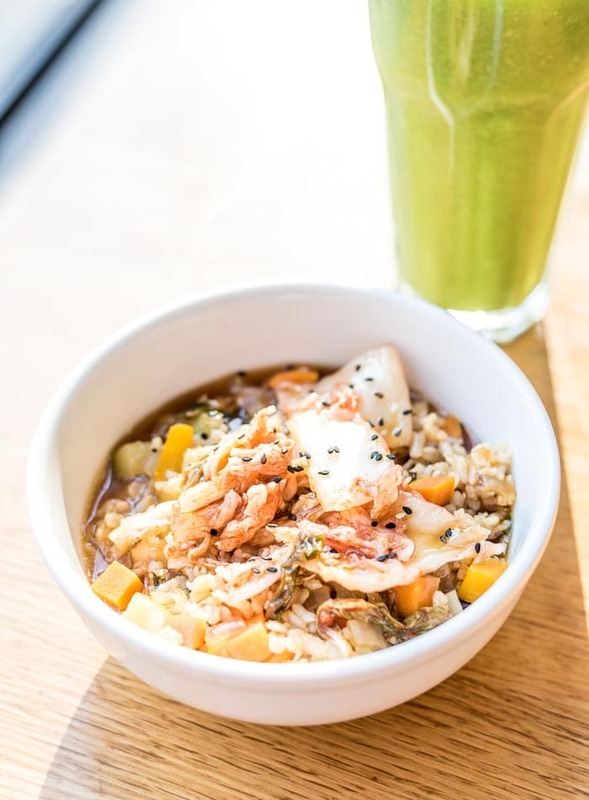 Live has an extensive menu with offerings from superfood elixirs and smoothies, to avocado toast and poutine, to mains such as pad Thai, bibimbap, salads, tacos, wraps and burritos. The entire menu is plant-based, organic, gluten and wheat-free with no refined sugars. Expect whole food ingredients prepared with no preservatives. Just good stuff! Wine, beer, cocktails, coffee and juices also available. 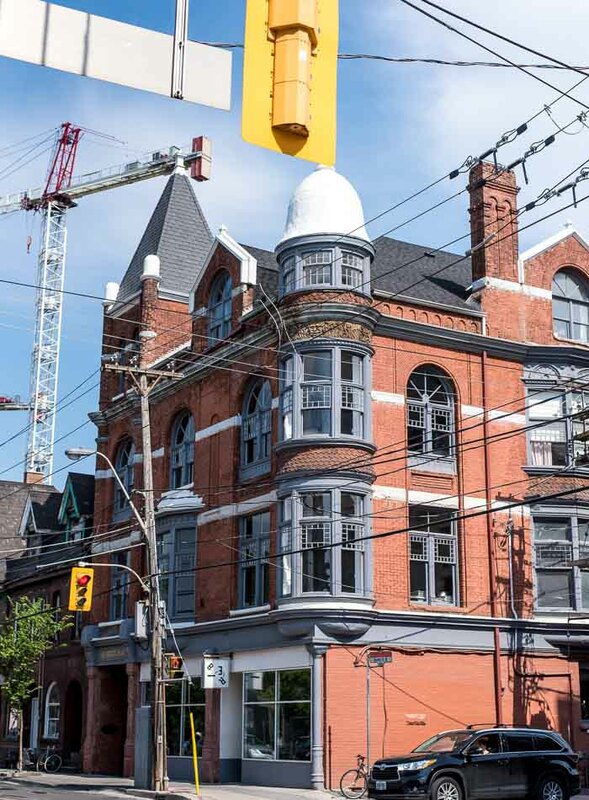 They have two locations, one in The Annex and one in Liberty Village. 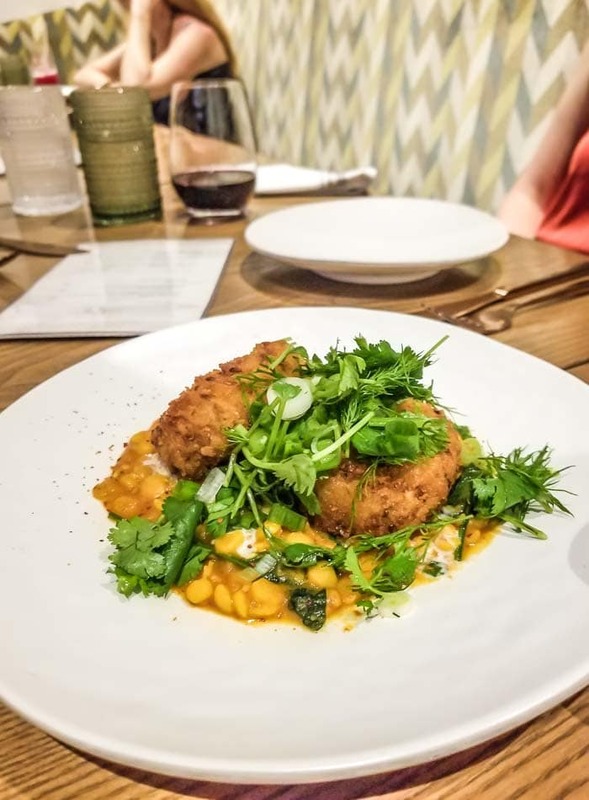 Upscale dining isn’t really my thing, however the food was good and I think Plant is a great choice for a nice dinner out that will appeal to omnivores and vegans alike. The interior of the restaurant is beautifully decorated and the food was creative and delicious. I certainly enjoyed my meal there, I just probably wouldn’t eat there very often. The menu includes vegan crab cakes (very good), queso dip, risotto, pizza, burgers, fried noodles, lasagna, lettuce wraps and some lovely salads such as the Habibi, which I very much enjoyed. Creative cocktails, beer and wine available. The new casual fast food-style burger spot from Planta features 4 burgers including the classic with queso and mushroom bacon, the California with avocado and aioli, the crab cake and the jackpot with BBQ jackfruit. You’ll also find milkshakes and sides such as queso fries, buffalo cauliflower and caesar salad. Order at the counter and grab a spot to eat inside or at one of the outdoor tables. Hello123 was one of my favourite stops in Toronto. The bright, open, casual restaurant and bar is located in the Queen St. West neighbourhood is open for breakfast, brunch, lunch and dinner. 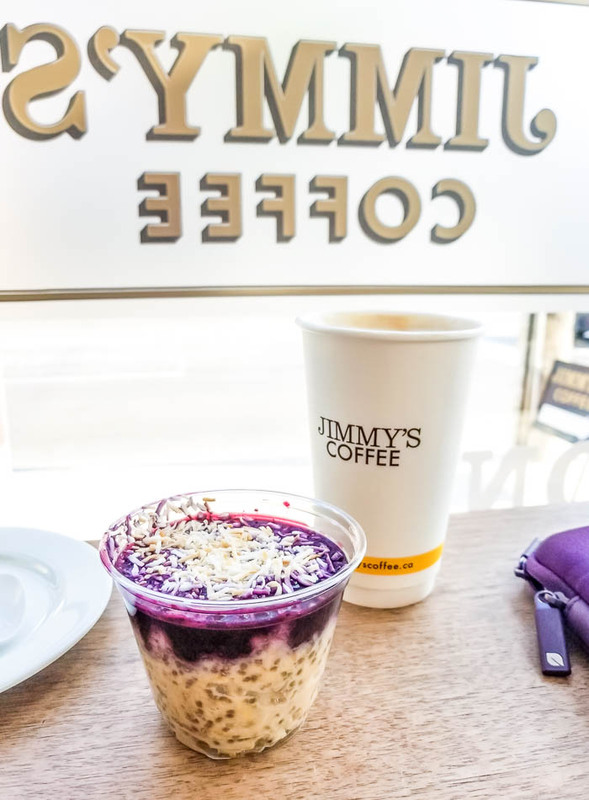 They serve everything from loaded sweet potatoes, to burgers, to smoothie bowls and creative cocktails. I had the chickpea omelette but the menu also featured vegan eggs benny, pineapple sliders, cauliflower tahini salad, avocado toast, pancakes, soups and curry. I would go back for sure. Think salisbury steak, fettucini alfreado, calimari, crab dips, wings, fish and chips, philly cheesesteak, waffles, eggs benny, club sandwich, baked potato, banana splits, tempeh and chips and more. Located on right beside Doomie’s on Queen St. West just west of Dufferin. A must-visit! Hibiscus is a small vegan soup, crepe, salad and ice cream shop located in Kensington. I didn’t eat there but I had to try the ice cream, of course. 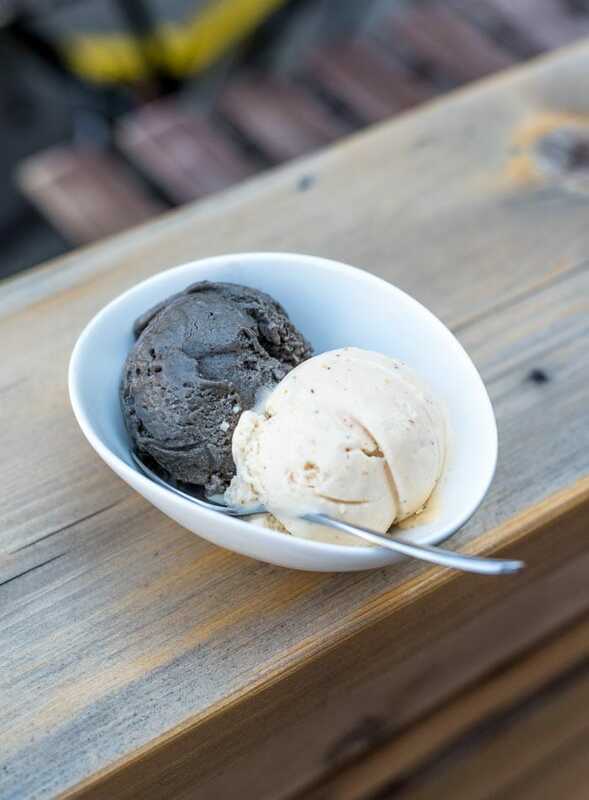 I had the sea buckthorn and black sesame ice cream and both were really nice. The food menu features sweet and savory crepes and healthy soups, smoothies and salads. 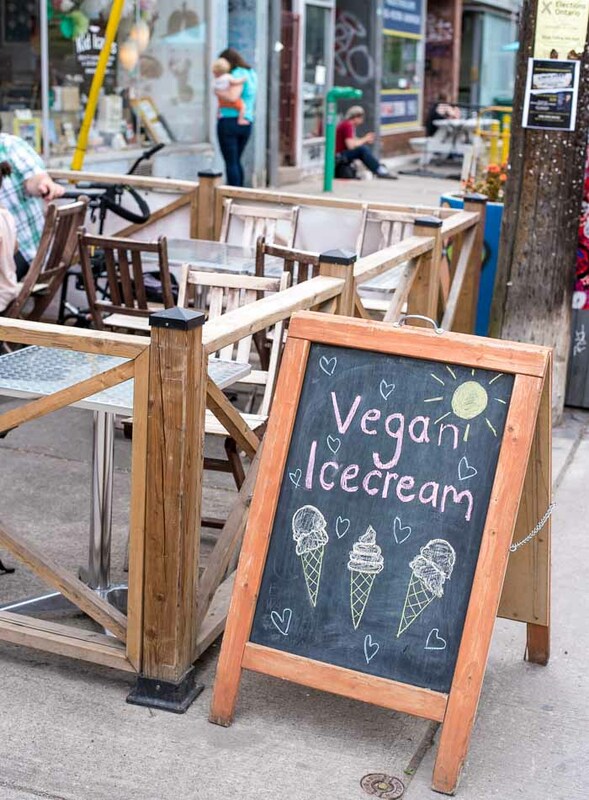 Hogtown Vegan is located on College St. near Bathurst and features vegan comfort food classics like nachos, Reuben sandwiches, mac and cheese, chicken and waffles and wings. They have a good patio that’s shaded in the afternoon making it a great stop on a hot day. Get ready fast food veganized. Think crispy chicken burgers, pulled pork, double cheeseburgers, loaded fries, tacos, chimmichangas and more. Doomie’s is a Toronto staple and while you won’t find any salads on the menu if it’s junk food you’re after, it’s the place to be. I wouldn’t be eating at Doomie’s very often but it was tasty, it’s a good place to take the non-vegans and veg-curious people in your life. Parka burgers are unique in that their burger patties are simply stanalone vegeatbles sliced and marinated to create patty. They don’t do processed patties or mock meats. In addition to their 4 veggie burgers, portoboelloe, eggplant, potato and broccoli, they also serve up various takes on mac and cheese, soups and fries and onion rings for sides. Rawlicious is a small but cozy raw food cafe on Bathurst near Bloor. 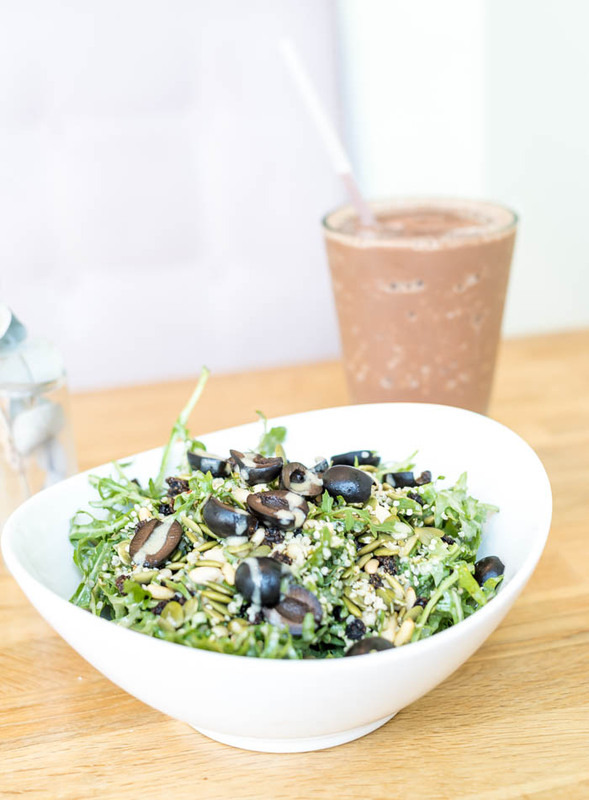 It features a completely raw food menu with items like taco salad, warps, salads, smoothies, zucchini pasta and delicious raw desserts. I had the Olive Currant Salad, Choco-Minty Smoothie and Turmeric Truffle. Everything was good and I would go back for sure. They also have some grab-n-go snacks such as kale chips, cookies and energy bars. Rosalinda is a new feel-good vegan Mexican restaurant located in the Financial District at Richmond and York. 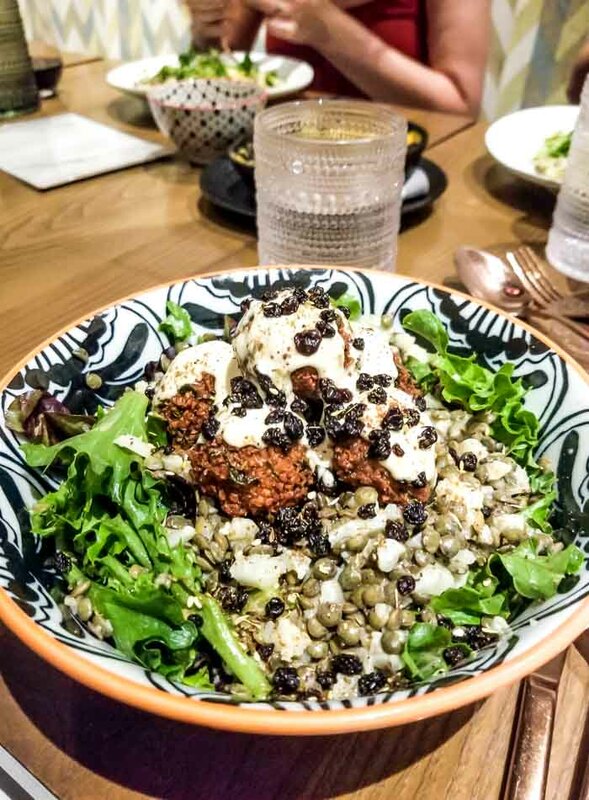 Think coconut civiche, chilaquiles, tostadas, tacos and plates such as the chorizo verde and quinoa bowl with charred broccoli, fennel and chimichurri. And YES, they have churros on the menu! You’ll also find fun, creative cocktails, wine and beer. It’s beautifully decorated and a great place for a delicious meal with friends. 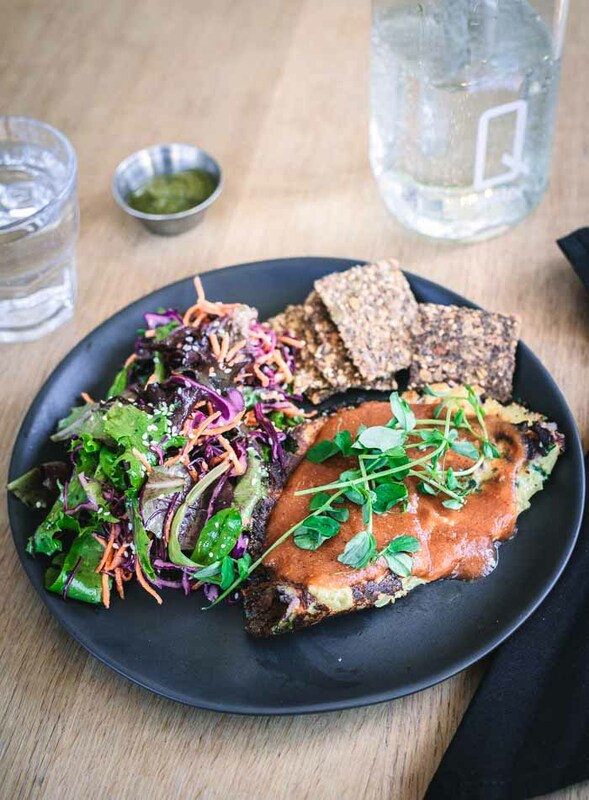 Urban Herbivore is perfect for a healthy lunch or dinner. They have two locations, one in Kensington Market and one in Eaton Centre. 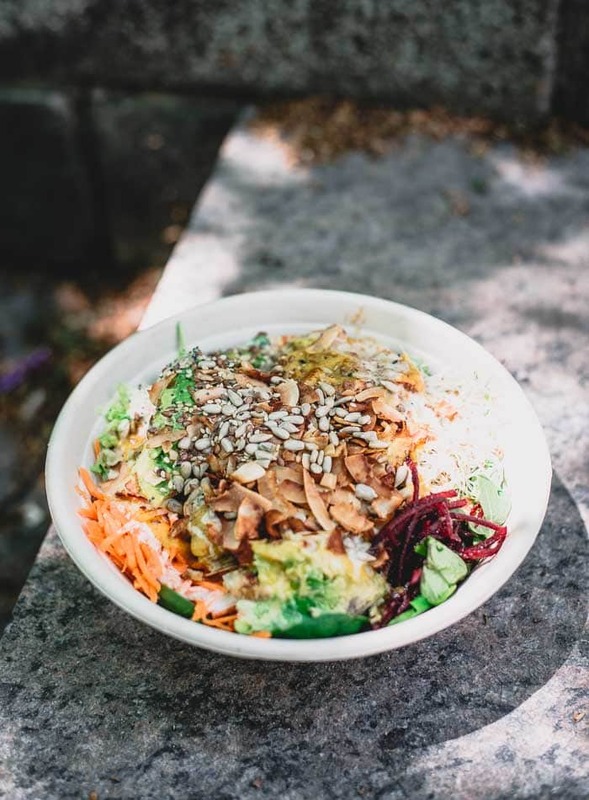 You can customize your own bowl or order one from the menu such as the Beluga Bowl with baby kale, black and brown rice, BBQ tofu, carrot, beet, peas, sprouts, hummus, broccoli, avocado, sesame ginger & lemon tahini dressing, sunflower, flax and sesame seeds. 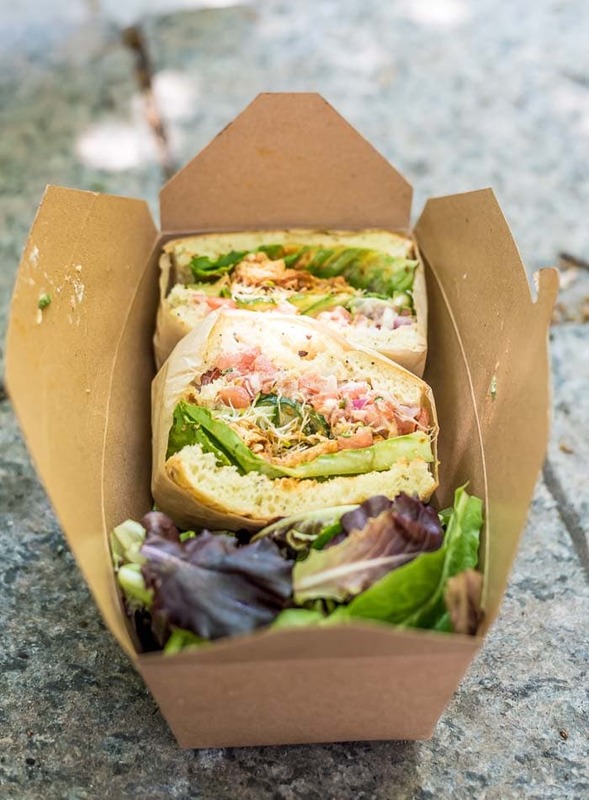 They also have soups, smoothies, juices, baked goods and sandwiches such as tempeh and avocado made with baked ginger tempeh steak, avocado, green pea pesto, tomato, pickled cucumber, red leaf and garlic aioli. Bonus: their biodegradable takeout packaging is 100% petroleum free. Their straws, cups & cutlery are made from corn. Their bowls and lids are sugarcane and their paper bags and boxes use the highest amount of post-consumer recycled content. I packed as much as I could into 4 days in Toronto but I could have easily spent another few days exploring the city. 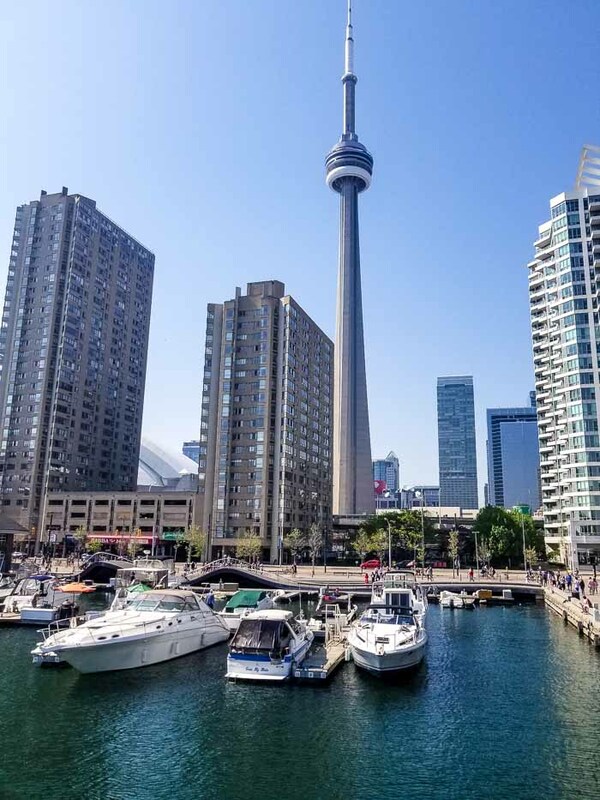 There are some great neighbourhoods to explore, the lake front to take in, Toronto island, beaches and if you like to shop there is no shortage of fun independent shops and apothecaries to browse. Here’s what I got up to in my 4 jam-packed days. We headed over the Toronto Island for the afternoon one day and had some beach time at Hanlan’s Beach before making our way back to Centre Island to take the ferry back to the city. I would recommend taking bikes to the Island if you’re able to, otherwise it’s a bit of walk between the three main areas. 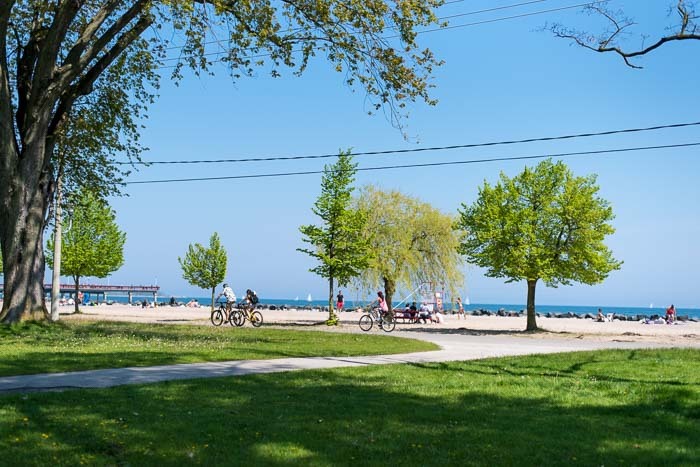 Or just pack some food and drinks and park yourself on Hanlan Beach for the afternoon. Just be aware, part of the beach is clothing optional so be ready for views of more than just the city. LOL. You can take a water taxi for $10 each way or take the ferry for a few dollars less. There isn’t much to eat on the Island so I’d recommend bringing your own food. There is a BBQ and Beer joint at Centre Island but it’s more of a cafeteria-style situation with generic beers. I wouldn’t recommend it. Bring hour own food and drinks and find a nice spot on the grass or beach. I walked the entire length of Queen Street from downtown West on various occations. There is lots to see and do. 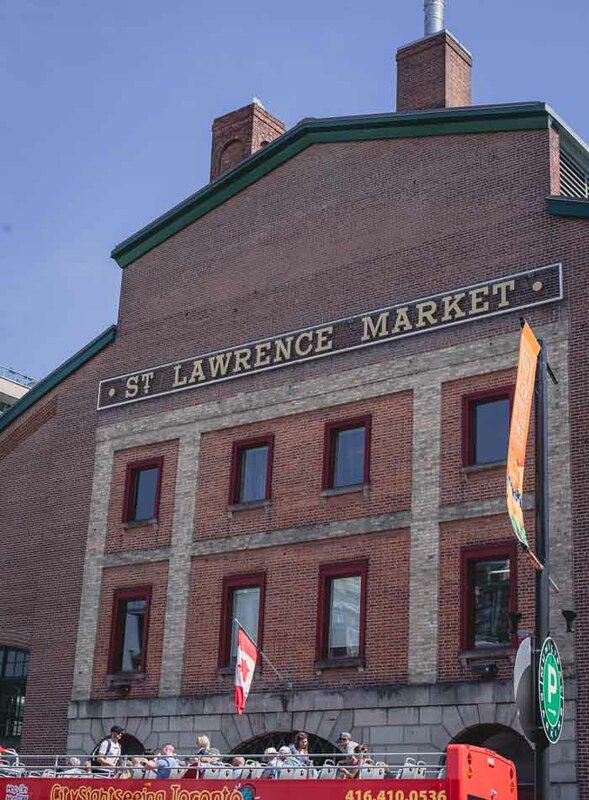 Stop for a pedicure, grab a coffee, shop, relax on a patio with a cold beer, eat lunch…you could easily spend an afternoon wondering across Queen St. 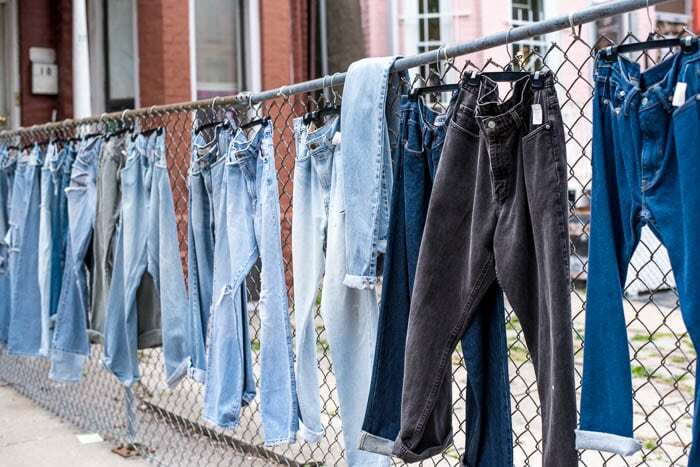 Walk across Ossington from Queen St. West to Dundas for some cute shops, patios and cafes. Once you hit Dundas, turn right and head back down towards town. St. Lawrence Market is a good for an hour or so of wondering. Much like most markets you’ll find fresh produce, souvenirs, baking, fish, meat and cheese shops. The building is curounded by picnic tables so you can always grab some fresh fruit and find a spot to relax between exploring. There’s a fresh juice and smoothie shop downstairs and plenty of places to grab fresh friut and veggies. Kensington Market is a must-do. It’s such a cool area! Think ice cream, breweries, coffee shops, vintage clothing, bakeries and grocery stores. On Sundays it closes down to cars and becomes pedestrian-only but it’s a great way to spend an afternoon any day of the week. 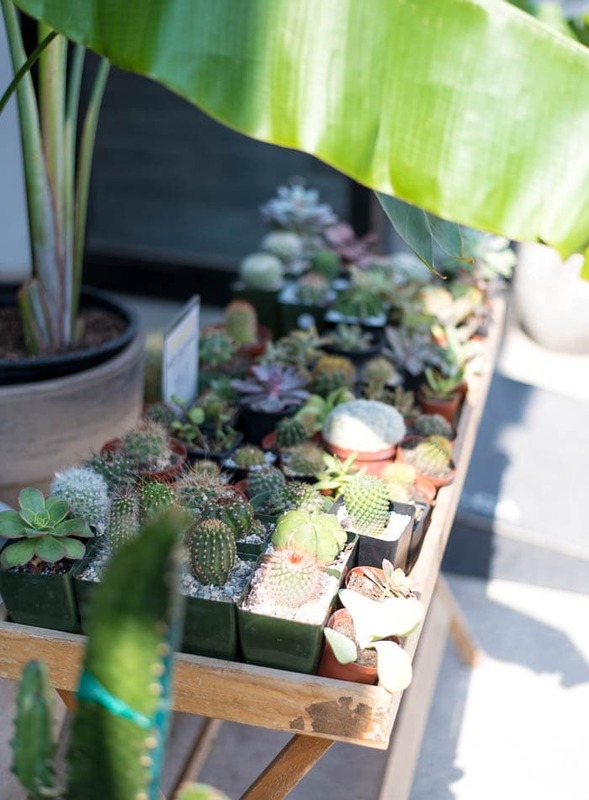 You’ll find restaurants, shops and cafes located in Victorian houses and plenty of palces to stop and take it all in. Toronto is full of parks perfect for picnics, frisbee, Spikeball and just laying around people watching. 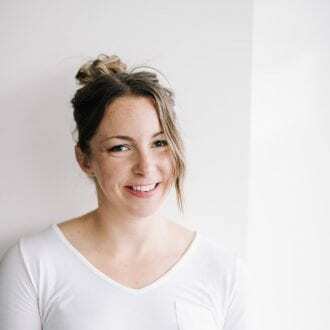 If you’re looking for something relaxing to do for an afternon, grab some snacks and drinks and head to Bellwoods or one of the many other green spaces in the city for a picnic. The lake front board walk is a good place to spend an afternoon. You’ll find some lovely patios and the cool breeze coming off the lake is a must on a hot Toronto day. If you love old buildings and churches there is plenty to check out in Toronto. Their are some beautiful old churches downtown, plus Casa Loma, Union Station, the Flatiron Building, old city hall, the Ontario legislative buildings and Osgoode Halle. I came across these just wondering and biking the city, there seems to be something around every corner so get your camera out! I was so surprised how many vegan options this market had. They’re every Saturday year round from 8 to 12:30 at the Arstcape Wychwood Bars at St. Clair and Christie. 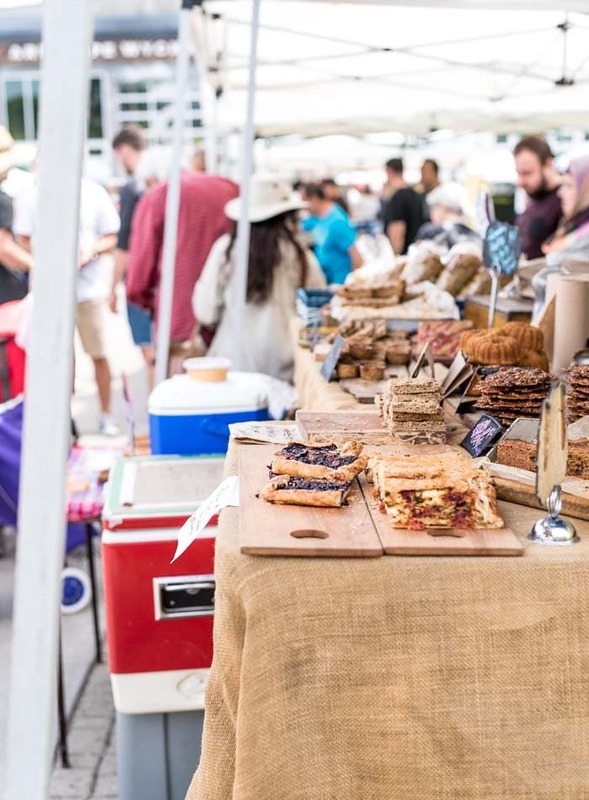 You’ll find everything from vegan steamed buns, to wraps, chocolate, smoothies to plenty of sweet baked goods, breads and more. I’d recommend it for a lovely Saturday morning browse and bite to eat. Easy and convenient, you can’t be beat Uber for trips outside of biking and walking distance. Use the UP Express to come in from the airport. It’s inexpensive, easy and makes 3 convenient stops between the airpot and downtown. This was my primary mode of transportation while visiting TOronto. I bike miles and miles and miles all around the city. You can get a day pass for $7 or a 3 day pass for $17. Toronto has plenty of bike lanes and I felt safe biking pretty much everywhere, even downtown. Since I was tracelling I didn’t have a helmet so that would be the only concern but just be cautious and aware and you’ll be fine. There are bike stops every where you’d want to go and you’ll be able to get to every restaurant on this list using the bike share. In addition to biking, Toronto is very walkable too. There are lots of fun streets to wonder while you’re making your way around. Downtown, Bloor, College, Dundas, Ossington and Queen St. are all worth a stroll. You can’t beat public transit for getting around. Take the subway or electric trains and you’ll be able to get just about any where you need to go. hands down the best restaurant if you are looking for a romantic date and delicious treat! Oh yes, I’d meant to include it but I didn’t have a chance to make it there on my trip. It sounds amazing. I’ll have to add it in as another place to check out. Thanks for that!! 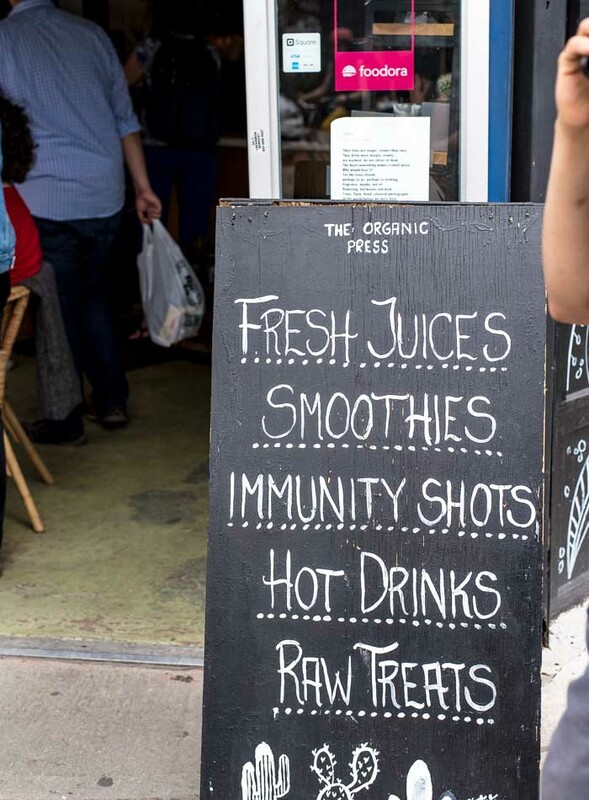 What about The Grow Op Juicebar on Ossington? They have a great assortment of vegan sandwiches, cold pressed juices, and smoothies! You should check them out! Thanks! I’ll do that next time I’m in Toronto. I live in Vancouver! Vegetarian Haven (all vegan) in Baldwin Village is one of my faves. Hands down the most creative vegan restaurant, their Chef’s Special is always delicious and so is their dessert, especially the banana split with brownie! All dishes have so many fresh ingredients and they don’t skimp out on giving you veg. Love it. I’m heading back to Toronto in a couple months so planning on getting to some more spots. Thanks! !